SWAP data will benefit from series of innovations that have been implemented during the development of the instrument and platform flight software. Most of them can be considered as demonstrators for future space missions. PROBA2 will fly with the new 100 MHz AT697 LEON II microprocessor. It will be the first satellite mission to fly ESA’s new high performance, radiation hardened processor which is expected to be used for many other ESA missions such as Solar Orbiter. The extra computing power delivered by the new microprocessor will make possible to implement some basic on-board image processing capabilities dedicated to SWAP data, and benefit from some automatic processing and autonomous operations. The SWAP images are stored in the MCPM. Before being compressed, discontinuities (cosmic rays) are removed and weak pixels are compensated by on-board routines based on flat field information. These operations will avoid JPEG compression artefacts. When JPEG algorithm is selected, the 12-bit pixel values are re-coded to 8-bit before compression. A sophisticated re-coding12 algorithm is used to minimize the data alteration. When default imaging mode is used with full images at 1-minute cadence, SWAP will produce more data than what can be sent to the ground stations. An automatic data prioritization process has been defined in order to make the best use of the limited telemetry bandwidth. 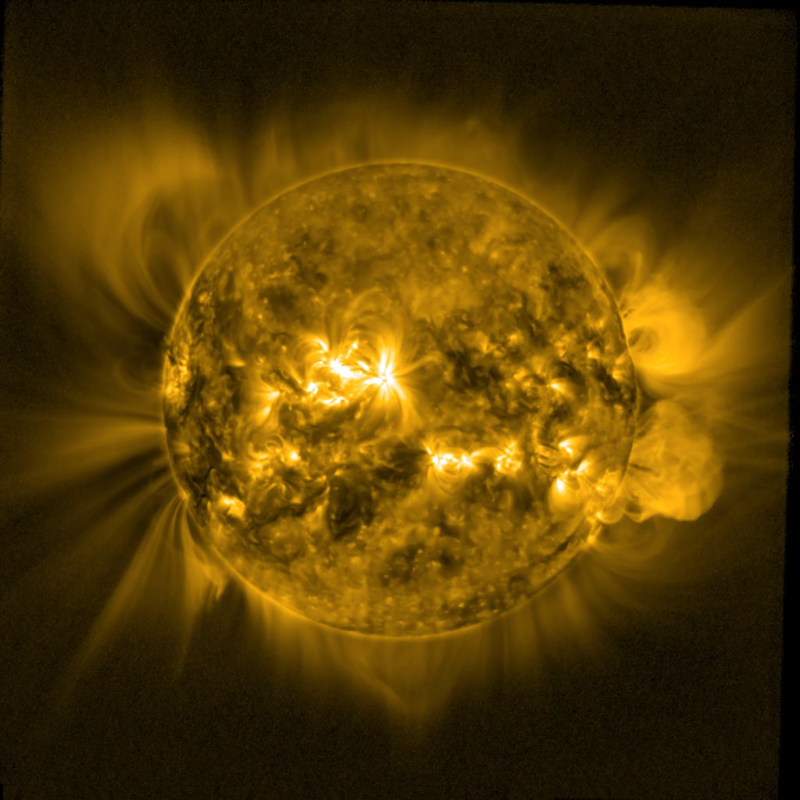 This algorithm aims to identify potentially interesting solar events and transfer the associated data to the ground in higher priority. 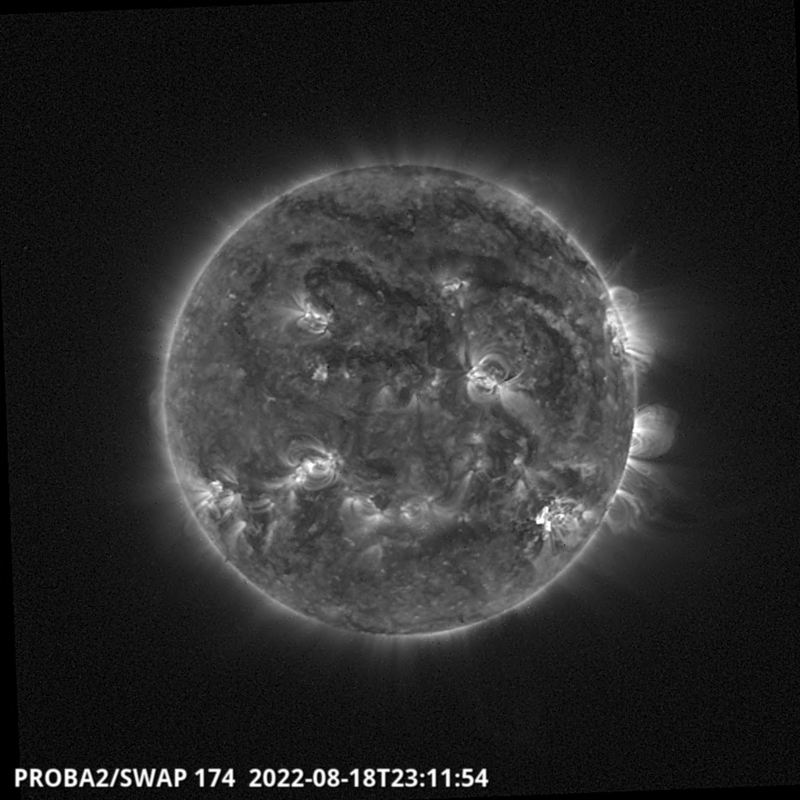 An interesting feature of PROBA2 has been diverted to improve the coronal mass ejection (CME) observation program. PROBA2 is a 3-axis stabilized platform with agile capabilities. This means that PROBA2 can quickly change the pointing of SWAP in any direction. 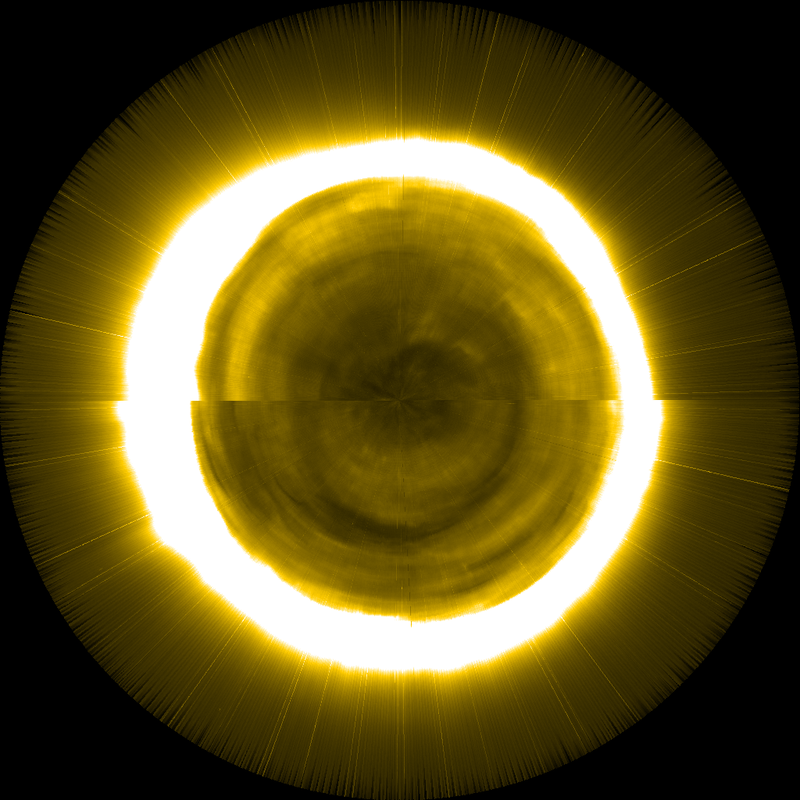 The nearly real time on-board processing of the SWAP images will allow detecting eruptions of material from the Sun’s surface in a set of predefined sectors. When any of such event is detected, SWAP MCPM triggers an off-pointing procedure, in order to follow the CME in a given direction. This exploratory mode will enlarge the field of view of SWAP by a factor 3, although the instrument has straylight limitations as well as relatively limited throughput for faint EUV emissions observed from CMEs. 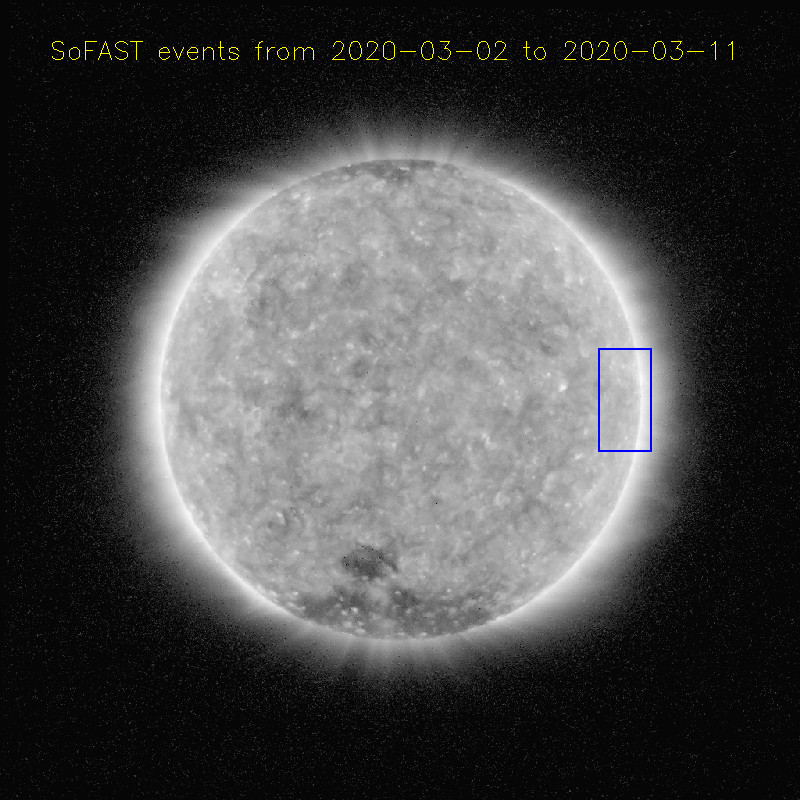 Such event detection can also trigger an increase in temporal cadence and a specific windowing mode that will give access to scientific analysis of the first stage of CME accelerations.